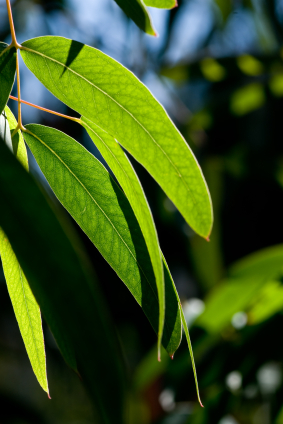 If you get eaten by mosquitoes, lemon eucalyptus oil may be your best friend. Whether you are sitting on your American porch in the summer slapping your forearms and neck or traveling to a country with malaria-carrying mosquitoes, keep a small bottle of a lemon eucalyptus oil blend with you. 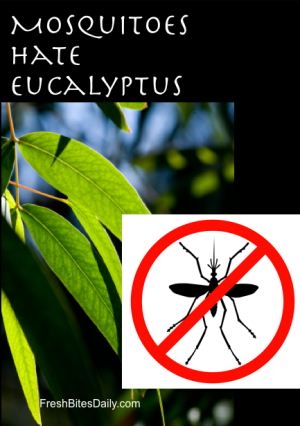 A 2006 study found lemon eucalyptus oil to be protective against mosquito and tick bites because of a natural “pesticide” found in eucalyptus oil. The study was testing a Swedish mosquito repellant product that contained 30% eucalyptus oil and found that component to be most effective. To whip up your own at home, combine lemon eucalyptus oil with a carrier oil at a ratio of 1 to 2 — an ounce of eucalyptus for instance and two ounces of a carrier oil. For carrier oils, we like apricot kernel oil as a skin-friendly budget option. Your home brew may protect you for hours. Apply more when you find yourself slapping your neck. 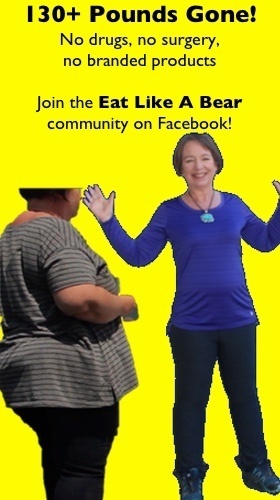 Buy oils, herbs, and more. Combine shipping costs and get bulk mosquito-repelling oil at a really great price.